The Princeton Women’s Swimming & Diving team hosted its 7th annual Collegians Find The Cure 5K Run on Saturday, September 21, 2014 in honor of alum Susan Moody ’94, who is serving as our Women’s Swimming Friends President and fighting breast cancer. 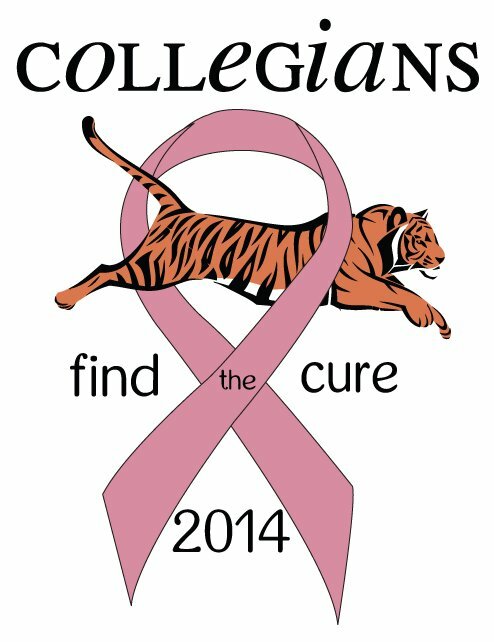 With support from the PVC, as well as the following teams: Lightweight Crew, Men’s Volleyball, Women’s Lacrosse, Women’s Softball, Cheerleading, Women’s Squash, Men’s Swimming, and Women’s Water Polo, the athletes were able to raise $4,898 to donate to The Breast Cancer Research Foundation. Our sincere thanks to everyone who came out to support the cause.